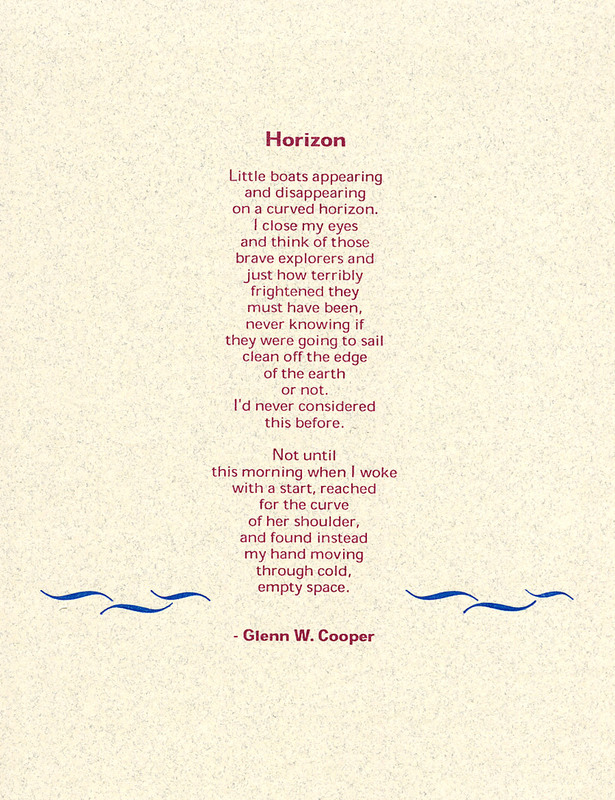 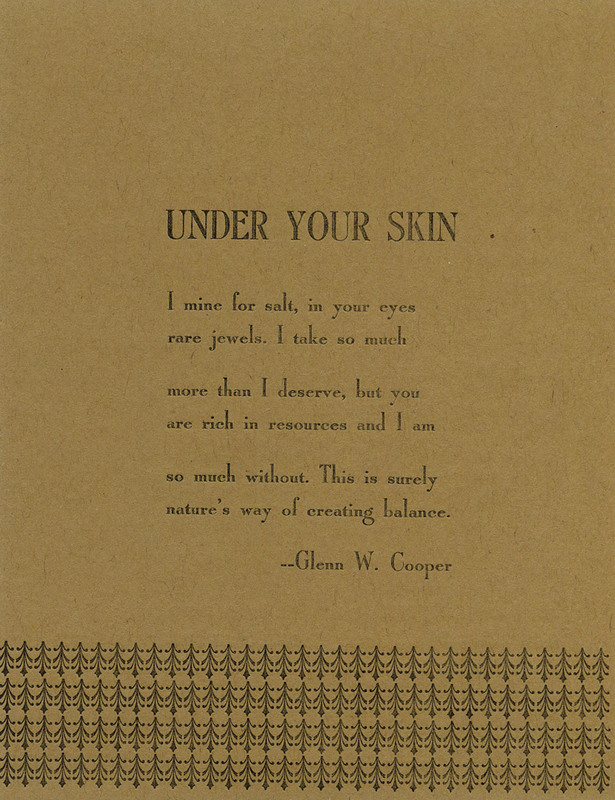 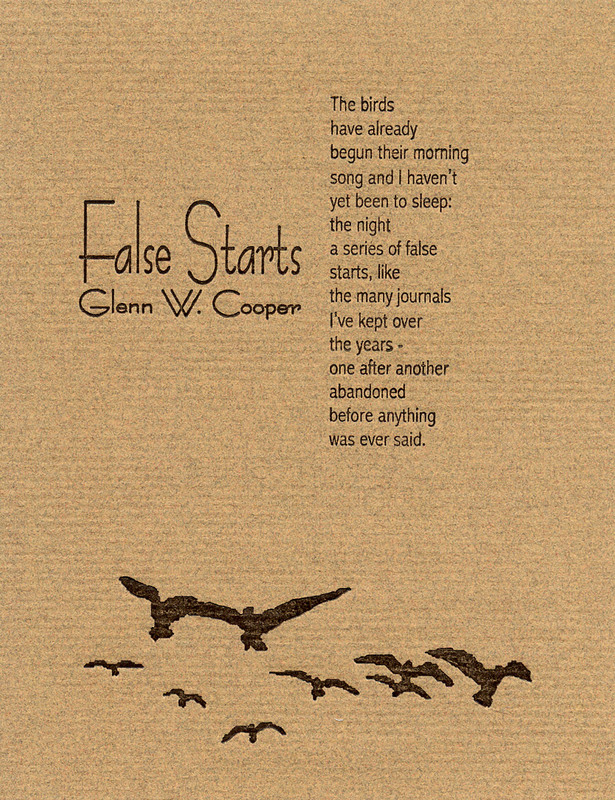 Glenn W. Cooper has been publishing poems in the small press for around four years, after initially trying his hand at novels and short stories. 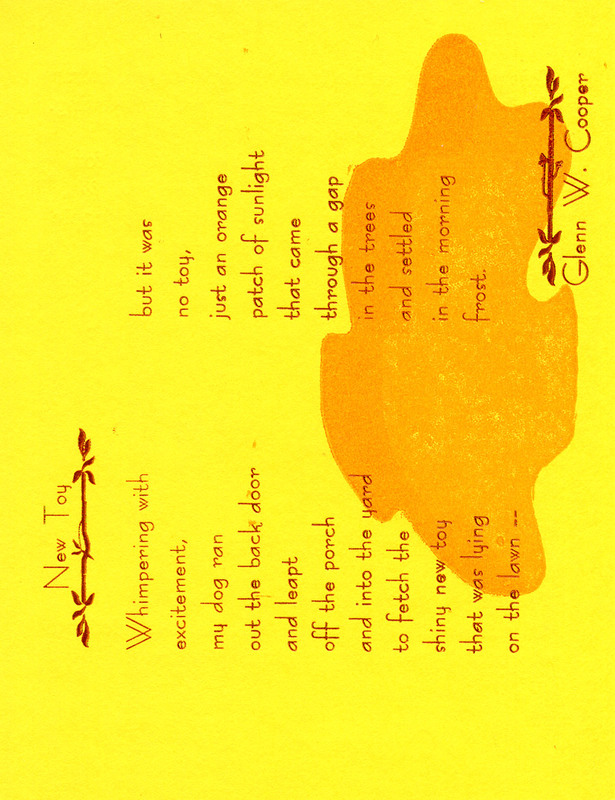 He lives quietly in Tamworth, Australia, and spends a lot of his time listening to Bob Dylan, and the infrequent rain. 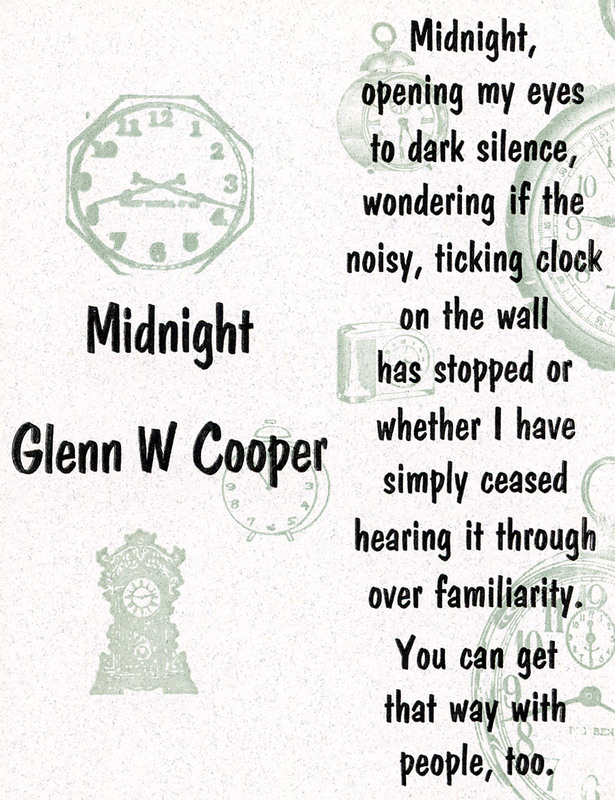 He is 38 years old. 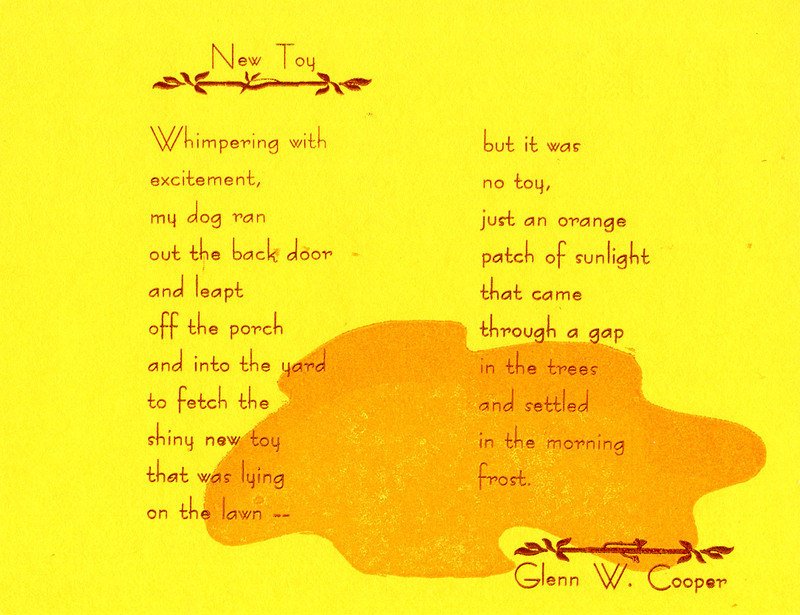 Glenn W. Cooper's work has appeared in Nerve Cowboy, Rattle, Chiron Review, and staplegun press.